The umbrella held over the couple’s heads, apart from serving as a protective symbol, indicates esteem and respect. The lady in charge of the ceremony gives the bride the harupat. The groom lights the harupat with the ajug. Then the flames are put out and the sticks are broken and thrown away. After the groom breaks the egg with his right foot, the bride cleans the groom’s foot with the water from the kendi. Then the bride throws the kendi to break it. This is a dialogue between the bride and groom in front of the house. However, they are represented by a couple who also sings for them. First, the couple knocks three times on the door, then enters into a dialogue whereby permission is requested by the groom to enter the bride’s house. The bride consents on the condition that the groom will say the syahadat (confirming his Moslem faith). The song also solemnizes the importance of the nuptial ceremony. The mothers of the bride and groom release two white doves – symbols of peace and happiness. The couple are given a barbecued spiced chicken. On hearing the word . go. from the lady conducting the ceremony, the couple has to pull the chicken apart. The one who gets the larger piece supposedly will bring in the larger share of the family fortune. This ceremony also serves to remind the couple to encourage each other to work hard together to gain good fortune. Many thanks to website : http://www.expat.or.id and http://www.webway.com.au for all the pictures and story. 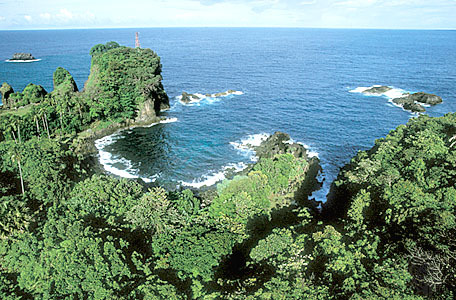 Ujung Kulon National Park is the first national park, founded in Indonesia. The park (80,000 ha) lies on a peninsula in south-west Java and includes the islands Pulau Peucang, Pulau Panaitan and the Krakatau archipelago. On 1 February, 1992, the Proposed Ujung Kulon National Park complex and the Krakatau Islands Nature Reserve were declared a World Heritage Site. The borders on the north, south and west side of Ujung Kulon are made up by the Indian Ocean. The Honje mountain range, including the highest point of the park Gunung Honje (620 m), forms the eastern border. The Indian Ocean is the main access route. Habitats in the park consists of lowland rainforest, swamp, mangrove and beach forest. Vegetation on Pulau Panaitan consists of dry-beach forest, mangrove forest and lowland rain forest which is characterized by an abudance of palms. On Anak Krakatau, the island that came into existence after the Krakatau exploded, flora and fauna are still young. Small animals and birds gradually colonize the lava island. The principal flora consists of grasslands, beach forest, lowland rain forest and moss forests at the higher altitudes. 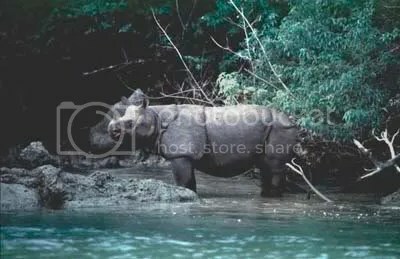 The most important reason to declare Ujung Kulon a National Park is the existence of the almost-extinct Javan Rhinoceroses in the area. 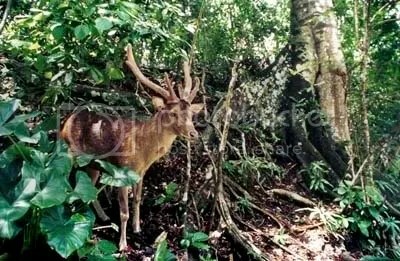 The population of these extremely endangered animals in Ujung Kulon is estimated to be 50-60. 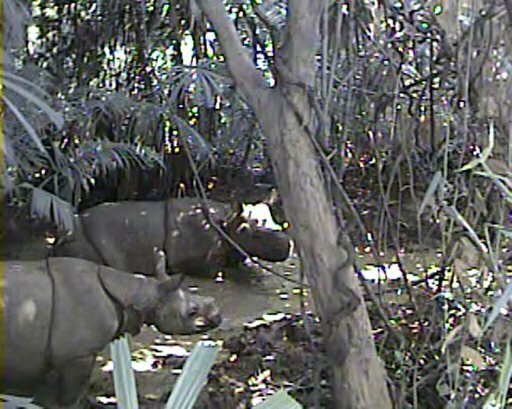 The remaining Javan rhinos, around 2 to 8 rhinos, are believed to live in Vietnam`s Cat Tien National Park. Valued for their horns, they face a serious threat from poaching. Some cultures believe that the powdered rhino horn will cure everything from fever to food poisoning and will enhance sexual stamina. 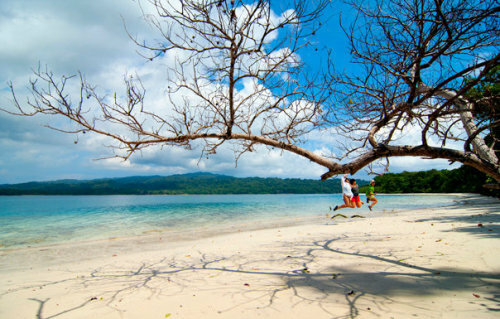 Ujung Kulon National Park is accessible by boat (5-6 hour) from Labuan. You can get to Labuan by minibus from Jakarta (3-4 hour) or Bogor. An other possibility is to take a bus with destination Merak from Kalideres bus station in Jakarta. Get out in Cilegon and from there catch a bus to Labuan.The boat from Labuan leaves for Pulau Peucang or Tamanjaya. Coming from Sumatra by ferry, your journey will end in Merak. From Merak, take the bus to Jakarta, jump off in Cilegon and from there see above. There may be minibuses going all the way from Merak to Labuan. A cheaper alternative to access the park runs over land. From Labuan you may take the HM minibus (from Serang bus station) or a taxi to Tamanjaya (about Rp. 250,000, 3,5 hrs). In Tamanjaya you’ll be able to arrange a boat to Pulau Peucang (Rp. 700,000), Pulau Handeleum (Rp. 200,000) or Pulau Panaitan (Rp. 900,000); mooring and boat entry permits are not included. 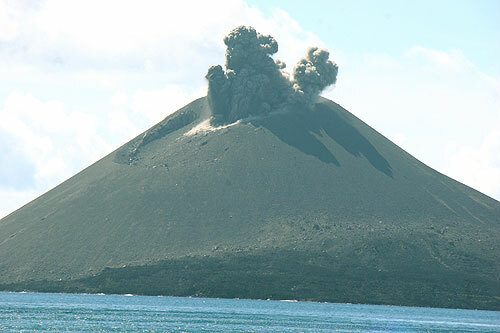 Krakatau is best visited from Labuan. Please Bargain !! 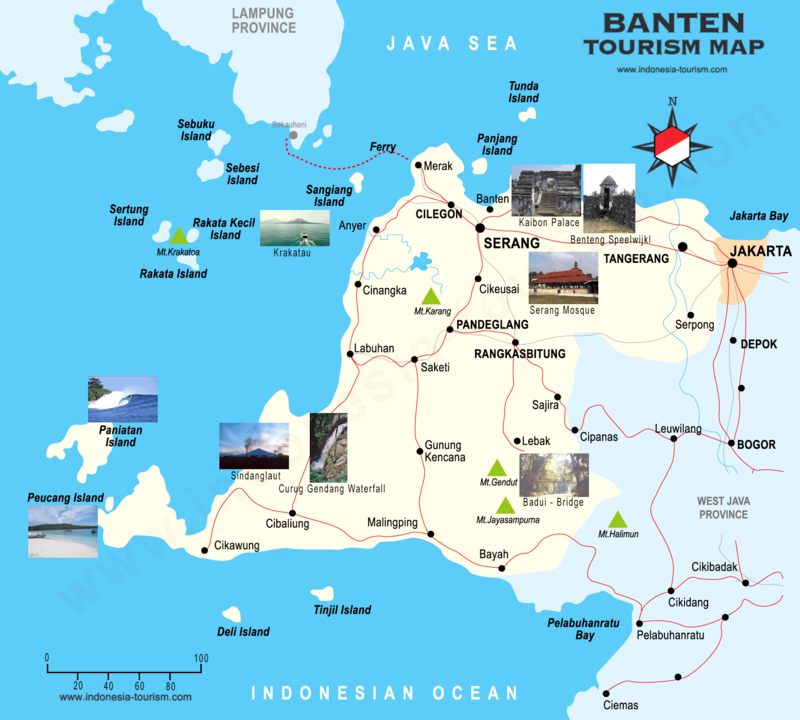 Permits, local guides speaking only bahasa Indonesia (about Rp. 50,000/day, excluding meals and cigarettes), English-speaking guides (Rp. 100,000/day, excluding meals and cigarettes) and accommodation can be arranged at the PHPA office in Labuan, or at Kagum in Jakarta. You can also find accomodation in Ujung Kulon. But it’s always best to plan ahead. Round Pulau Peucang and Pulau Panaitan you’ll be able to snorkel and dive among beautiful coral reefs.